A West Bromwich warehouse has been bought for more than £1.5 million as investors seek high-yield industrial investments across the UK. The premises, which is let to service-provider MCD Group Limited, a business owned by Europe’s largest distributor of floorcoverings, Headlam Group Plc, has a passing rent of £118,250 per annum, and attracted a great deal of interest from potential purchasers before going to best and final bids. Alex Eagleton, of Harris Lamb’s Investment team, said: “This sale is the latest in a series of industrial investments we’ve overseen as investors seek opportunities within the sector. “This particular opportunity was a great asset to acquire as a modern warehouse premises extending to 22,523 sqft in a strategic location just a quarter of a mile fromJunction 1 of the M5 motorway, and being let in its entirety to MCD Group Ltd – trading as Concept Flooring Supplies – on a 10-year Full Repairing and Insuring lease expiring in January 2023,” he said. Having been instructed to seek offers in excess of £1,540,000 for the property, representing a capital value of £68 per sq ft and a net yield of 7.24 per cent, the business received a number of offers and set a deadline for best and final offers, with the successful buyer securing the site for above asking price. 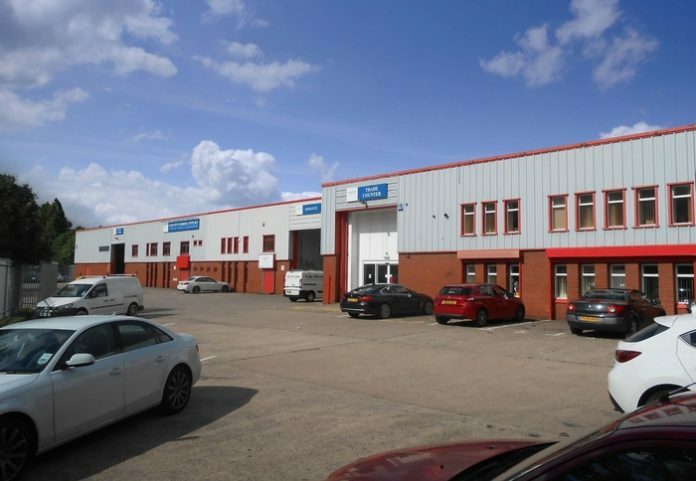 Alex added: “The high level of interest in this property is further evidence of the continuing spike in demand industrial investment opportunities across the Midlands.